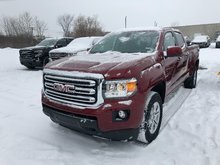 GMC Nation sales event is now on, hurry in to claim yours today! 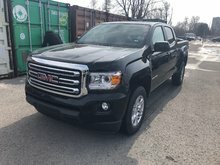 While this 2019 GMC Canyon is a comfortable and civilized truck, it allows for easy access and management of your cargo with the functional and versatile cargo box. 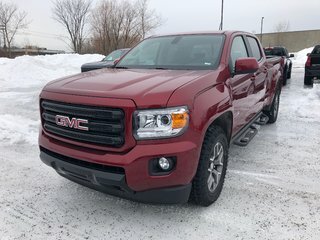 This 2019 GMC Canyon is built around the idea of a all in one work truck, providing the durability and premium detail you expect from a GMC pickup. Capable, versatile, and entirely refined, this mid-size Canyon balances power and technology in a design that is spacious and efficient. 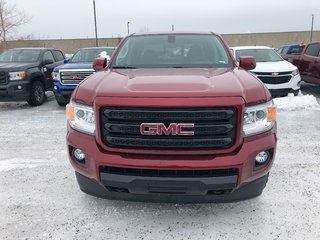 Whether you need a pickup truck for some occasional hauling, off-road fun, or you just want a truck, this premium GMC Canyon fits the bill. It has almost as much capability as its bigger counterparts, but it's easier to maneuver, easier to park, and returns better fuel economy. This red crew cab 4X4 pickup has an automatic transmission and is powered by a 3.6L V6 24V GDI DOHC engine. Given that effortless motor it gets 14.0 L/100 km in the city and 9.9 L/100 km out on the highway according to Transport Canada. This vehicle has been upgraded with the following features: All-terrain Adventure Package. 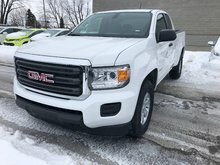 To view and download a brochure open this url https://www.gmccanada.ca/content/dam/gmc/na/ca/en/index/download-a-brochure/02-pdfs/gctc19ct000_2019%20gmc%20canyon%20catalog_cdn_en_aoda.pdf. Total rebate of $1250 is reflected in the price. Credit includes $1250 Delivery Allowance. Buy this vehicle now for the lowest bi-weekly payment of $277.00 with $0 down for 84 months @ 2.49% APR O.A.C. ( Plus applicable taxes - All Additional Fees included ). Incentives expire 2019-04-30. See dealer for details. Located at 939 St. Laurent Blvd in the beautiful city of Ottawa. 3.6L V6 24V GDI DOHC - 6 cyl. 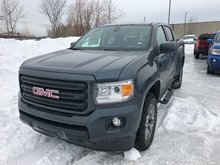 Interested in the 2019 GMC Canyon All Terrain - $277.00 B/W ? $43,569 * Plus HST and licensing. Freight & Fees Included. $37,114 * Plus HST and licensing. Freight & Fees Included. $45,544 * Plus HST and licensing. Freight & Fees Included. $42,754 * Plus HST and licensing. Freight & Fees Included. I wish to receive recalls, news and promotional emails from Surgenor Ottawa.